Many Democrats are furious with members of their party for agreeing to a deal with Republican senators to reopen the government. These Democrats don't think Republicans will fulfill their promise to hold a vote on replacement legislation for the Deferred Action for Childhood Arrivals immigration program, set to expire on March 5. "Democrats are still not willing to go to the mat to allow people in my community to live in our country legally," Democratic Rep. Luis Gutierrez said Monday. Many Democrats are incensed about the deal Senate Democrats reached with Republicans on Monday to reopen the government on the third day of the federal shutdown. On Monday, a bipartisan group of senators, including 33 Democrats, led by Senate Majority Leader Mitch McConnell and Minority Leader Chuck Schumer, reached an agreement to fund the government until February 8 in exchange for a promise from the GOP to hold a vote on legislation to replace the Deferred Action for Childhood Arrivals (DACA) program, which protects about 700,000 undocumented immigrants from deportation. But many Democratic lawmakers and activists, including House Minority Leader Nancy Pelosi and California Sen. Kamala Harris, a likely 2020 presidential contender, denounced the deal, arguing that Democrats can't trust GOP leadership to fulfill their promises on immigration, the issue at the heart of the disagreement between the parties. Harris, who voted against the deal, said McConnell's promise on DACA "fell far short of the ironclad guarantee" she "needed to support a stopgap spending bill." Sen. Catherine Cortez Masto, D-Nev.
She continued, "I refuse to put the lives of nearly 700,000 young people in the hands of someone who has repeatedly gone back on his word. I will do everything in my power to continue to protect Dreamers from deportation." Several of the Senate Democrats who supported the agreement are facing competitive re-election battles in 2018 in states that President Donald Trump carried in 2016, and others, including Virginia's senators, who represent large numbers of federal employees. Meanwhile, likely Democratic presidential contenders, including Sens. Cory Booker, Elizabeth Warren, Bernie Sanders, and Kirsten Gillibrand, voted against ending debate on the deal. Pelosi also broke with Schumer, saying she won't support any deal until House Speaker Paul Ryan promises to bring DACA legislation to the floor. 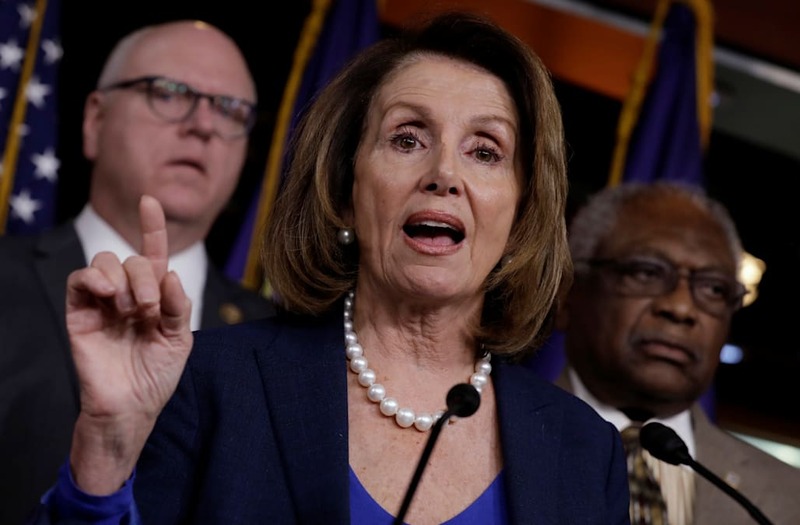 "I don't see that there's any reason — I'm speaking personally and hearing from my members — to support what was put forth," Pelosi said during a Monday press conference. Progressive groups, including labor unions and civil rights advocacy groups, simultaneously pressured Democrats to reject the compromise and stand united against the GOP. "Mitch McConnell's empty promises are not to be believed," Vanita Gupta, president of the Leadership Conference on Civil Rights, told McClatchy. "The progressive movement is unified and … [I] feel intensely strongly that Democrats must continue to stand strong now." Some Democrats voiced particularly strong dissent, including Alida Garcia, a strategist and immigrants rights advocate at FWD.us who announced she's cutting ties with the party following the Senate deal. "I'm leaving the Democratic Party today," Garcia wrote, calling Democrats "liars." "They're complicit w/ every single young person living in fear. Every pain Latino & immigrant families feel from here out is 100% due to @TheDemocrats not fully embracing us as American. Implicit racism is equally as harmful. I'm done." Other Latinos voiced similar concern that the Democratic establishment is abandoning immigrant communities. "This shows me that when it comes to immigrants, Latinos and their families, Democrats are still not willing to go to the mat to allow people in my community to live in our country legally," Democratic Rep. Luis Gutierrez said in a statement.